The site is using the Comet theme by Frostpress . 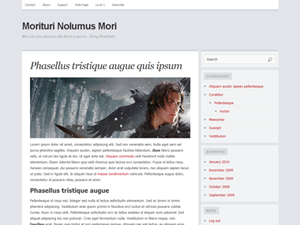 A very classy, lightweight, and content-focused theme with a lot of features to customize everything to your liking. Theme options with 7 different color schemes and the ability to change things like fonts, logo, sidebars, etc. Dropdown menu for fast and space-saving navigation. Translation ready. Last updated 12 July, 2017. We found 1 theme and 1 active plugins on this site. Link to this page.